Ghost Towns: Lost Cities of the Old West out today! Today is the official release of my book, Ghost Towns: Lost Cities of the Old West. It is available direct from the publisher, most all online booksellers, in major bookstores, and at museums and national parks. If your bookseller doesn’t carry it, they should be able to order it in. Just give them ISBN # 0747810850. Thanks to those who have already picked up a copy, and for the kind words from those who have already read it. Thanks also to the Tooele Transcript Bulletin for the nice profile in last Thursday’s edition. Enjoy the book and spread the word! I’m ecstatic to announce the upcoming release of my first book, Ghost Towns: Lost Cities of the Old West, from Shire Publishing. The book is available for pre-order now and will be released on April 17. An e-book version is expected to be released by June. This quote from Chapter 25 of Mark Twain’s The Adventures of Tom Sawyer has captioned this website since its inception. The raging desire of which Mr. Twain speaks came upon me early in life, and has sparked several passions. Among them is the study of abandoned places. My somewhere was the great American West. My hidden treasure, ghost towns. Huck: Why, is it hid all around? Tom: No, indeed it ain’t. It’s hid in mighty particular places, Huck – sometimes on islands, sometimes in rotten chests under the end of a limb of an old dead tree, just where the shadow falls at midnight; but mostly under the floor in ha’nted houses. Tom: Why, robbers, of course…They always hide it and leave it there. Huck: Don’t they come after it anymore? Like Tom’s treasure, ghost towns can be found most anywhere, especially in places that seem odd and secreted. There they remain, mostly forgotten and in various states of decay, waiting for a couple adventurous kids with an old yellow paper. There are many guide books available that list ghost towns by region. This is not one of those books. 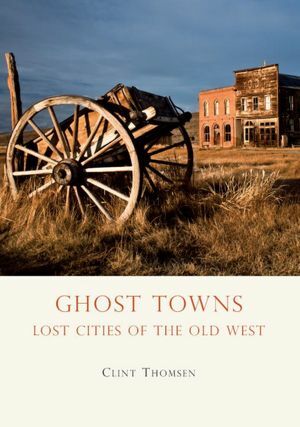 This book is a primer to the ghost town phenomenon and the ghost-towning hobby. It’s the book you read before you pick up a guide book. Ghost towns are best experienced with as much context as possible. What exactly is a ghost town? How did they rise? Why did they fall? What can their remains tell us about the people that once called them home? 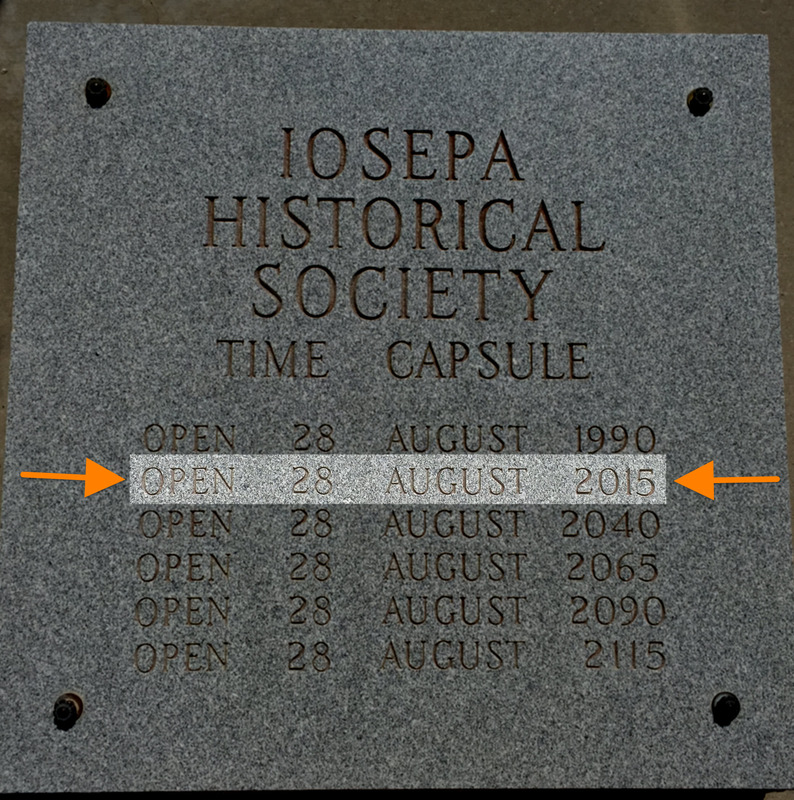 And how can they be experienced today? 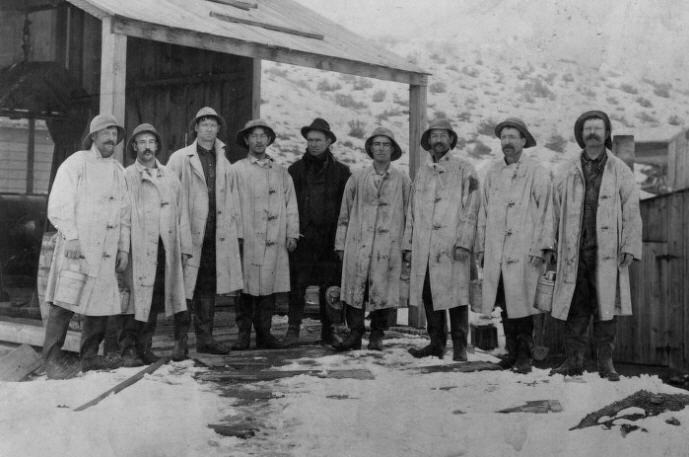 Ghost Towns: Lost Cities of the Old West answers these questions, and then some. Bauer’s fate was sealed when its last viable operations were destroyed by fire. Rulon Aufdemorte’s final task was to dismantle and ship off any salvageable properties. When the last truckload finally pulled away, Aufdemorte gathered his belongings and drove to Salt Lake City, leaving Bauer’s crumbling ruins to the wind and ghosts. The first ghost town I ever visited was officially Cortez, Nevada. My first Utah ghost town, however, was Bauer. I haven’t written anything about that trip because it ended up being a wild goose chase. Tyler and I had no waypoints or directions to guide us to the townsite– nor did we know anything about the town’s history. And it probably didn’t help that we were searching for this ghost town after dark. To be sure, we got close that night– within at least 50 yards. We may have seen a few outbuildings, none of which we logically attributed to the town itself. Disappointed, we moved on to the next ghost. Years later I realized that the odds had been stacked heavily against us. Not much was left of Bauer by the time we tried to find it. 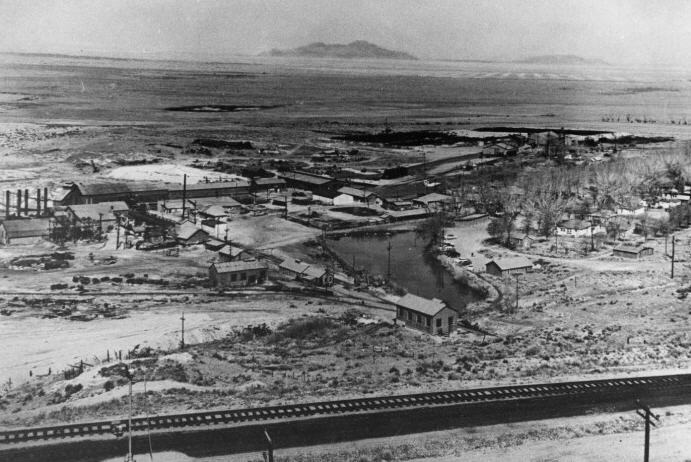 The few walls and foundations that remained were quite visible in daylight, but obscured by the adjacent Tooele County Landfill and were inaccessible to the public. At present, most of Bauer has been bulldozed. Oh, and it’s a Superfund site. The following is a truncated and slightly edited version of a ghost story that I posted a couple years ago. A rocky switch to a new blog platform earlier this year sort of buried this little story, and it hasn’t been too prominent on this incarnation of the website. One of the first pieces I’ve ever written, this is the tale of my search for the famed White Lady of Latuda. Enjoy. THEY SAY THAT FALL signifies summer’s day fading into winter’s wilted dusk. What makes sense is mankind’s association of autumn with the melancholy. What baffles me is mankind’s warped fascination with it. Once fall begins something wonderful happens. For one month- one beautiful month- nostalgia for summer softly subsides and gives way to eager thoughts of eerie woods and jack-o-lanterns. And let’s not forget- ghost towns. It’s a gray October evening I find myself driving along Spring Canyon Road, the crumbling narrow byway that begins at the outskirts of Helper and winds its way through the mountains and back in time. The sleepy town of Helper, Utah, is nestled at the mouth of Price Canyon and the gateway to Castle Country. A former mining hub, Helper was so named for the “helper” engines needed to assist westbound trains up the long, steep grade to Soldier Summit. It’s a classic Old Western town with a Main Street lined with century old buildings. No sooner do I enter the canyon than I spot the ruins of old Peerless with its stone staircases leading to a collage of rocky foundations. The sun begins to set and shadows dance on the canyon walls. I’ve been listening to a local radio station but reception is cutting out, so I turn it off. I roll down my window despite the chilly air and listen to my tires roll along this all but forgotten road. Spring Canyon is home to several small ghost towns and abandoned mining camps. The remains of these towns are readily visible on both sides of the canyon from the road. Wooden shanties still stand on eroding ledges and strange buildings built right into rock faces blend into the cliffs like optical illusions. Time has taken its toll on Ghost Town Row, but many buildings remain impressively intact. The overgrowth makes it difficult to trace the old street routes, but it’s still possible to map out the towns using stone foundations and heaps of wooden planks as landmarks. One could spend weeks on end exploring these towns and the history that lurks behind half-standing walls and beneath weathered grave markers. It’s getting dark now, and that’s important. That’s when my naturally skeptical mind starts to wander, and I find my eyes cautiously avoiding the old roadside wash. The town of Rains in its heyday. Like most ghost towns, the Spring Canyon towns have their spooky lore. An old miner’s ghost here, a graveyard apparition there- people want a good story, and ghost towns are the perfect places to spark the imagination. The creepy cowgirl mentioned something about the “White Lady of Latuda,” a story well known in these parts. After that trip I read that the story has several variations, but all conclude that the ghost of a woman wearing a white dress haunts the canyon- specifically the canyon wash.
One version of the story- the best sourced version- was told by Claude Lambert, an old miner who lived in a rock house in the canyon. Mr. Lambert knew the woman in question and worked with her husband. In the early 50’s he laid out the facts as he knew them. The couple lived next to a store in Peerless with their infant child. Like many wives of the day, the woman lost her husband in the mine. But her husband met his end from blood poisoning caused by an infected tooth, not a mining accident. Thus, the company had no obligation to pay her any compensation or benefits, and she was turned away at the mine office in Latuda. Desperate and without recourse, the woman took her baby down to the wash and drowned it, so as to spare it from starvation. She spent some time at a Provo Mental facility before escaping and returning to Peerless to look for her baby. Her restless search did not end when she died. Some miners claimed the White Lady would appear in front of the mine, luring miners inside. To follow her, they said, was suicide. Other sightings have her walking in the direction of the mining office. Most people see her near the wash. Though I believe they exist, I’ve never seen a ghost. I think most ghost stories are nonsense. That said, I’ve been in eerie places. Places where I’ve felt watched. Places I won’t go at night. This is my first time in Spring Canyon after sunset. The sun has set and dark begins to fall in Spring Canyon. It’s much cooler now and my first reaction is to roll up the window, but I don’t. I want to experience this place in the raw. As I drive toward Latuda something catches my eye in the distance. I think I should stop here, but my foot remains steady on the gas pedal, almost uncontrollably. It’s a figure- light in color but not illuminated. It doesn’t react to my approach, but it does seem to drift from side to side. As the road curves I lose sight of it in the trees. I’m a little spooked but I’m not scared. The figure seems to beckon me, and I comply. I slow down and turn the car so that the headlights shine into the woods just above the wash. Then I get out and walk toward where I saw it last. A long, old fashioned white dress hangs by a rope from the tree, waving softly in the breeze. My caution turns to laughter and my laughter turns to amazement. Whoever hung this dress here placed it so expertly so that you see it from afar, but lose it in the trees as you get closer. The trees blocked the dress from the roadside, and I never would have found it had I not set into the woods on foot. Who knows how many wary travelers this ghostly frock has frightened? I look up at the rope from which the White Lady hangs and notice that the knot is coming loose. One more stiff gust will tear her free; the effect will be ruined and the dress will blow away. I stand on the branch of a nearby tree and secure the knot. My origninal version of this story (The White Lady: Ghostly Encounter in Spring Canyon) contains more info on Spring Canyon, additional thoughts, and related links.